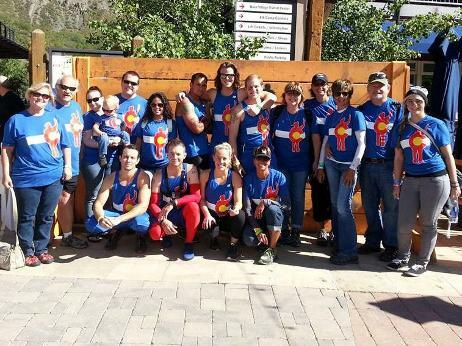 2014 Tough Mudder 1Hope T-Shirts!!! The best looking shirts at Tough Mudder are available now! These Colorado flag styled shirts are just $25 each shipped for a limited time! There is only a small supply of them so do not wait! The sizes available are Small through XLarge. Just click the Donate button and let us know how many of each size you would like in the description box! The tank tops are in such limited supply that they are currently unavailable through the website. 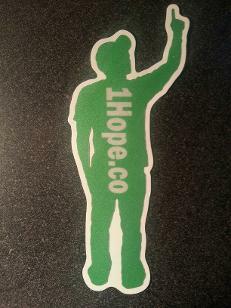 Don't forget to send us your pics of showing off your 1Hope Swag! 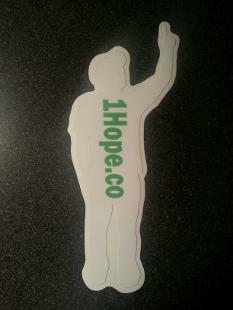 The 1Hope.co Stickers are finally here! We have 2 styles the reflective Kelly Green or White with green lettering. Each sticker is only $10 including shipping! They measure approximately 5 in. tall and look fantastic everywhere from your old water bottle to the rear window of your car (especially the reflective Green one)! Just click the Donate button and let us know how many of each color you would like in the description box! Get your inaugural 1Hope for Cancer T-Shirts now! They are only $25 EACH and that includes shipping! 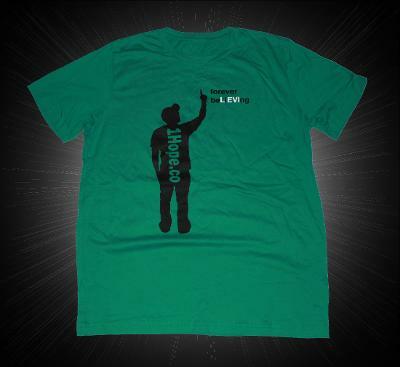 These awesome Kelly green shirts come in S, M, L and XL! They are made from super comfy canvas material perfect for hitting the gym or just kicking it on the weekend! To order yours just click on the Donate button! Let us know what size(s) and many you need along with the corresponding donation (i.e. 1 shirt = $25; 2 = $50, etc.) in the Paypal description field. These are limited time shirts so get yours today!